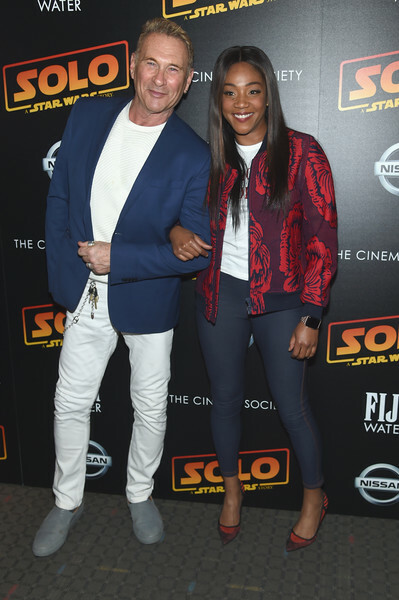 Hal Rubenstein and Tiffany Haddish attend a screening of "Solo: A Star Wars Story" New York Premiere on May 21, 2018 in New York City. Tiffany Haddish's pumps were a perfect match to her jacket. Tiffany Haddish completed her outfit with a pair of jeggings.